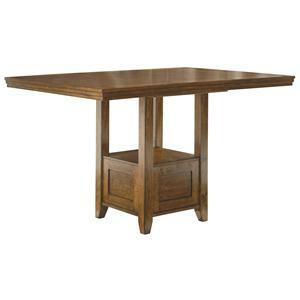 Reconstruct your home interior by adding this superb counter table to your casual dining or bar area. 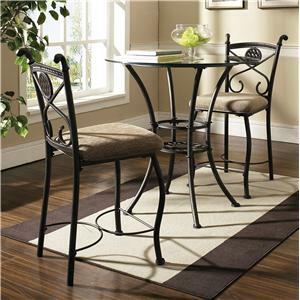 The table features an ornate hourglass like base that holds up a sleek glass top. 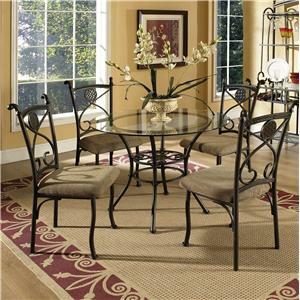 Match this table with the Brookfield counter chairs and enjoy a casual dinner with friends. The Brookfield Counter Table with Tempered Glass Top by Steve Silver at VanDrie Home Furnishings in the Cadillac, Traverse City, Big Rapids, Houghton Lake and Northern Michigan area. Product availability may vary. Contact us for the most current availability on this product. 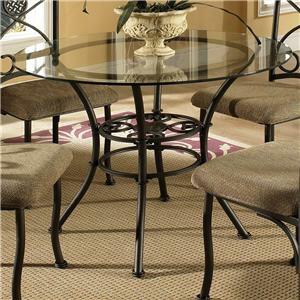 BK360PB Counter Table Base 1 36"
BK360GT Glass Table Top 1 36" 36"
Case Construction Metal welding construction. Finish & Paint Options Dark finish. 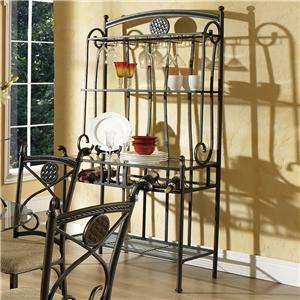 Description: Top Collection features glass tops. Create your personal tranquil paradise with the Brookfield collection. 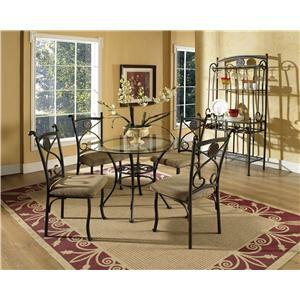 These dining pieces feature decorative backs with circular accents, delightful curved lines, and shapely hourglass bases. A fascinating dark brown finish adds a lovely final touch to this marvelous collection. 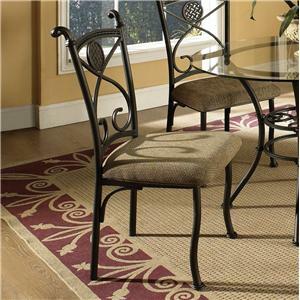 Make your dream décor possible with the Brookfield collection. 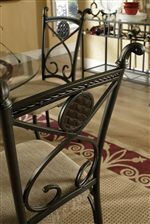 The Brookfield collection is a great option if you are looking for Transitional furniture in the Cadillac, Traverse City, Big Rapids, Houghton Lake and Northern Michigan area. 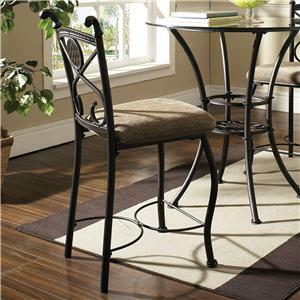 Browse other items in the Brookfield collection from VanDrie Home Furnishings in the Cadillac, Traverse City, Big Rapids, Houghton Lake and Northern Michigan area.